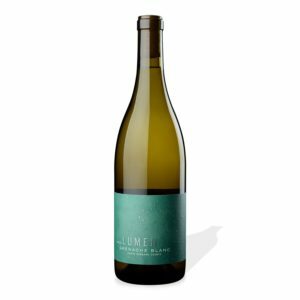 This single-vineyard Chardonnay offers explosive lychee, honeydew, and pineapple fruit up front, focused around a firm, mineral-driven backbone. Hints of apple pie, cinnamon, and citrus peel flesh out the mid-palate, leading to a lingering finish accented by nutmeg spice and a subtle use of oak. Sturdy enough to stand up to odoriferous cheeses but elegant enough to compliment a soufflé. 110 cases produced. Drink now through 2020.